What is the biggest dream that every women wish for? Fair and flawless skin? SEP, South Korea's leading beauty brands proudly to announce the launch of SEP Jeju Mask Pack in Malaysia. Jeju Island is known as "Island of the God" whereby the water is clean and air is fresh all year round. And SEP Jeju mask pack formulated with clean and natural key ingredients from Jeju Island and it's safe for our skin. There are 4 types of facial mask packs, SEP Canola Honey Nourishing Mask, SEP Cactus Fruit Moisturizing Mask, SEP Tangerine Brightening Mask and SEP Green Tea Soothing Mask. SEP face mask pack contains concentrated clean and natural key ingredients. 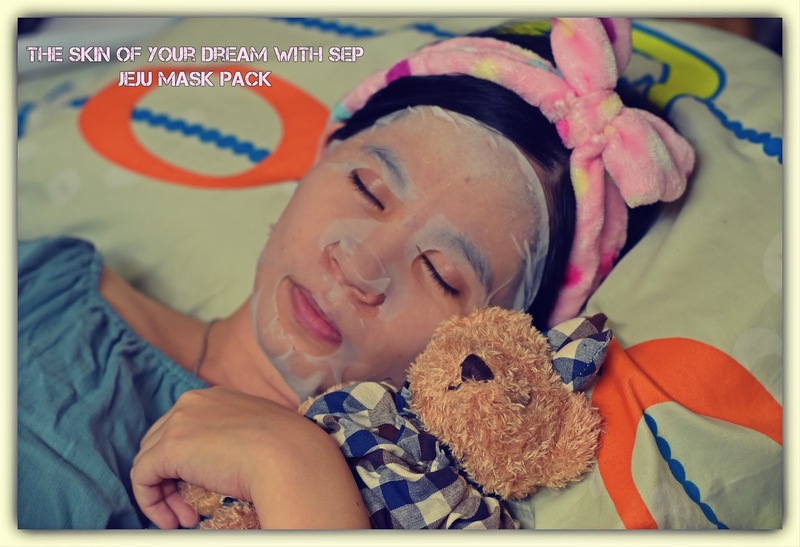 SEP Facial Mask is 100% made in Korea and you can ensure the authentic of the mask. SEP Jeju Mask pack using an innovative formula known as air pocket sheet as it enable maximum absorption of the essence and nutrient by the skin. The mask specifically designed to fit any face and contains small airy space whereby your skin able lock in the active-rich essence. You will definitely love the result after mask session. If you ask me which one is my favorite masks out of 4, my answer will be 4 of SEP Jeju Mask as each of the mask provide different benefit to our skin. Formulated with concentrated honey extract from Jeju Canola Honey whereby it high in protein, fatty acid, vitamins and mineral. SEP Canola Honey Nourishing Mask deeply nourishes and intensely hydrates the skin. The mask also contain Centella Asiatica also known as 'Tiger Grass' that contains significant amount of madecassic acid helps to revive dull and dehydrated skin. I love the nice scent from the mask as it also contain Rose Water, Chamomile and lavender that able helps for relaxing and calming down the skin. While Aloe Vera helps to moisture dry skins. If you have uneven skin tone, SEP Tangerine Brightening mask will be the suitable mask that you are looking for. The mask helps to brighten dry and dull looking skin with Jeju Tangerine and Cucumber that contain rich amount of nutrients such as Vitamin C that able to enhances the brightening process and helps to diminish the look of existing pigmentation. Other natural ingredients such as Devil's claw herb good for anti-inflammatory and has sterilization effect, while daisy good for skin detoxification and whitening, Edelweiss and Niacinamide has high content of water-soluble Vitamin B3 which helps skin whitening. This ultra-moisturizing mask helps to revitalize and hydrate dry skin. It helps to lock the moisture in our skin. The mask also contains other nourishing natural ingredients from Jeju Island including aloe vera, bamboo, hyaluronic acid and basil. While oat seed helps to exfoliate, cleanses and nourishes the skin. This mask is suitable for sensitive skin as it comes with Salvia extract- a herb that is anti-inflammatory and has sterilization effect that helps revive and heals the skin. 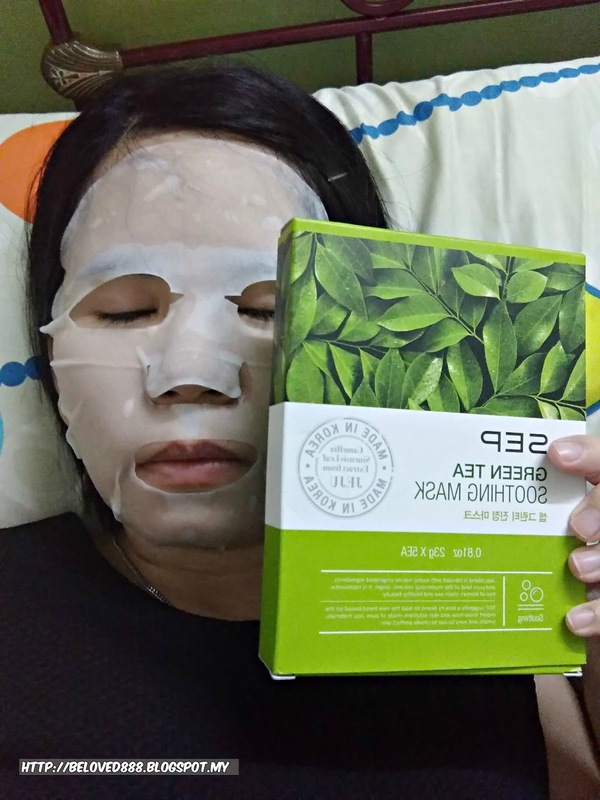 SEP Green Tea Soothing mask is loaded with high concentration of green tea extract that comforts irritated skin, resulting in healthier and more radiant-looking complexion. While tea tree has anti-bacterial and sterilization reaction that deeply soothes the skin, Centella Asiatica has madecassic acid substance that helps in skin renewal. Propolis, yam essence and lavender help refresh and moisture the skin, leaving it soft and supple. SEP Jeju Mask Pack available exclusively at Watsons stores nationwide from January 2017. Priced at RM5.90 per piece and RM24.90 per box of 5 pieces. In Year 1995, CJ O Shopping is the first company in Korea to introduce TV home shopping channel in Korea ranked the no.1 Home Shopping company in Asia and the No.2 in the world recorded sale of USD$4.5 billion. CJ O Shopping also is the leading the new ways of media distribution by TV, T-commerce, internet, mobile applications, catalogues and is the leader of creating new shopping culture in Korea. CJ O Shopping enter the global market by launching "Dongbang CJ" in Shanghai, China in 2004, later partnered up with major companies in India, Vietnam, Japan, Thailand, turkey, Philippines, Mexico and Malaysia. Please visit http://www.cjoshopping.com for more information about CJ O Shopping.